VMware is rolling out services worldwide in the AWS cloud over the next 15 months, starting in the U.S.
As VMware opens up its user conference this week in Las Vegas, the company’s CEO Pat Gelsinger says it is making significant announcements about cloud integration and security. The company is announcing the availability of VMware Cloud on AWS, a partnership that places the VMware Software Defined Data Center in the AWS cloud as a service. The news is that the service is available in the U.S. West service area in the United States. “Of course, it’s one availability zone today but we’ll be committing that it’s available in every availability zone before the end of next year,” he says. The service will roll out to the East Coast, Europe and Asia – everywhere AWS is available – by the end of 2018. AWS CEO Andy Jassy is scheduled to make the announcement on stage with Gelsinger. In addition, the company is announcing management tools that work across any cloud environment, even those that are not built on VMware. 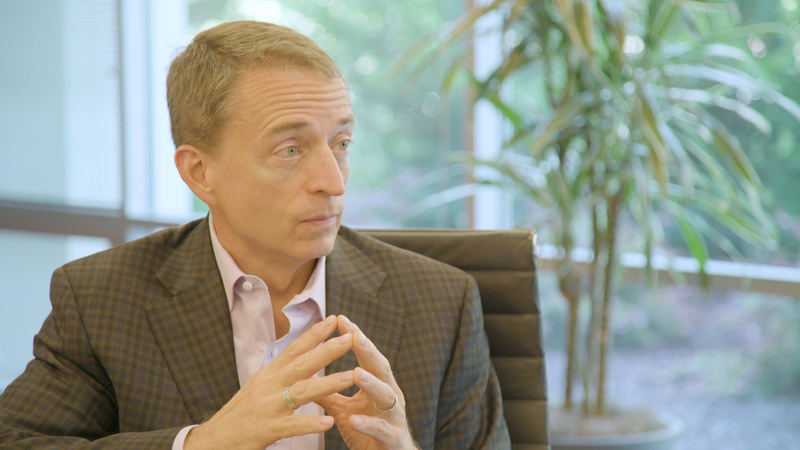 Gelsinger says telemetry and metrics tools are available via the company’s purchase of Wavefront earlier this year, as is vRealize Network Insight ( vRNI ), VMware’s tool for visibility and analytics in SDN environments, especially VMware’s NSX. But the program will continue to unfold. “We’re going to build up a portfolio of service offerings that irrespective of where your workloads are – on-premise, on Azure, using VMware, using native cloud capabilities, Amazon, Azure, Google – we’re going to give you tools to help manage, connect and run in those environments,” he says, but he didn’t offer further details. AppDefense springs from work VMware was doing on micro-segmentation, which led to the idea that micro-segmentation can enable the network to become self-isolating. “When you spin up a set of virtual machines the virtual machines can essentially be connected to one another in a secure way. We’re announcing now we have not just micro-segmentation but also distributed encryption as well that we’re releasing. We can have encrypted traffic in flight between VMs,” he says. Also in the security realm, the company will add single sign-on for Workspace ONE, which is the integration of AirWatch, VMware’s mobility management software, and Horizon, its virtual desktop platform. It gives customers the ability to manage all their devices from a single platform. “The user experience becomes consistent with single sign-on across all applications and user experience as well,” he says. This fits in with VMware’s overall edge computing strategy of putting intelligence closer to endpoints in order to analyze data, maintain devices and upgrade software without relying on links to a central location. “As part of the overall Pulse strategy, it really is give that consistent management, security and networking environment and the IoT with vSAN is just another aspect of that in the overall portfolio of strategies,” he says. VMware’s relationship with open source software is being advanced at the conference with two announcements: support for Okata, the latest open source OpenStack platform, and support for Kubernetes container orchestration in Cloud Foundry, the open-source cloud platform from Pivotal. 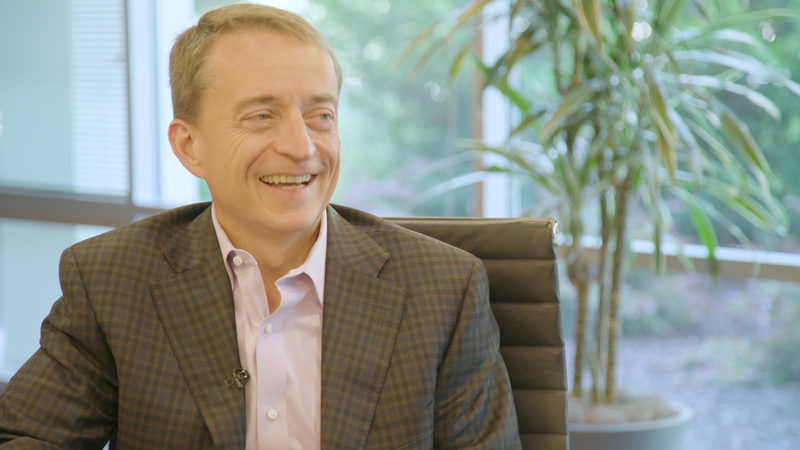 The first, called VMware Integrative OpenStack, is “grabbing the next set of OpenStack bits and really integrating them to the rest of the VMware stack to make it easy for customers who are pursuing OpenStack to do so on top of their VMware franchise,” he says. That product is aimed mainly at service providers. The second, is a partnership with Pivotal, makers of Cloud Foundry that can streamline developers’ deployment of applications in the cloud. Pivotal and VMware are teaming up to create Pivotal Container Service. “The three core components associated with that offering are NSX-T, our innovation in terms of being able to integrate container networking directly into NSX,” the compmany’s network virtualization and security platform, he says. The second component is aspects of Kubernetes such as partitioning, micro-segmentation, cluster management and security provided by Kubernetes. The third component is Cloud Foundry. He says the standards community is agreeing on container-native interfaces and those are being added to the NSX platform. That, in turn, is being integrated with the Pivotal lifecycle management environment, he says. The result is something that will make developers life easier, he says. “If the developer wants something that is, let’s say, less curated but still embraces containers and Kubernetes, that’s exactly where [Pivotal Container Service] is focused and all of that built on the VMware infrastructure. We think this is a very powerful answer to solve that gap between the developer and the operations personnel and bring those two worlds together,” he says. Photon, VMware’s minimal-Linux container host, fits into this picture with plans for deeper integration of it as the default native operating system, he says. But users would still be able to use the Linux distro of their choice if they prefer. He says VMware doesn’t see a competition between containers and virtual machines, but VMware is trying to make running containers in VMs easier and touting it as more secure than containers running directly on hardware. “We think containers are great. We love them. We’re going to enable them. The primary benefit of containers is an accelerated application development, deployment and life cycle management. For the most part, we don’t see it as replacing virtualization,” he says. 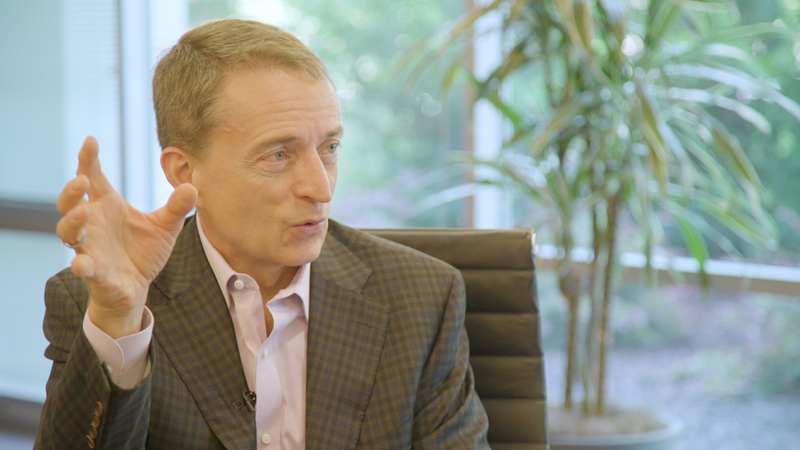 Gelisnger says VMware is doing well right now for three reasons: tech companies in general are doing well; VMware products, with their cloud integration, are becoming part of customers’ strategic thinking; and the company, now part of Dell Technologies, is getting a ‘tailwind’ from that association by having its products rolled into customer wins Dell makes. 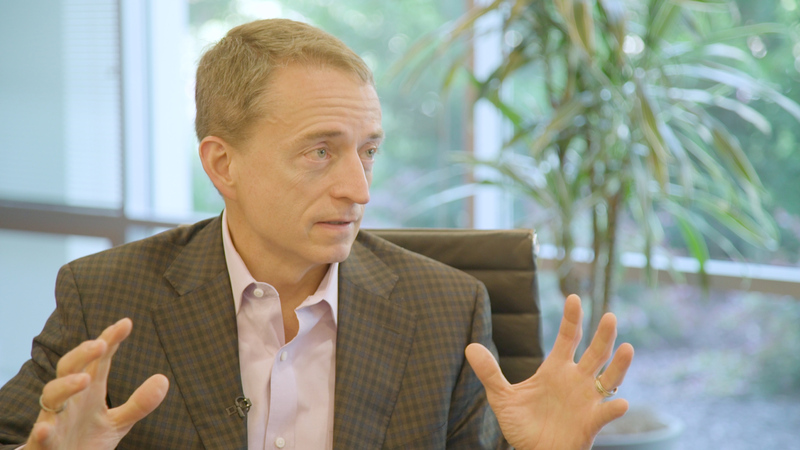 And VMware is making other alliances that help its sales, he says. For example, it is expanding its relationship with IT services company DXC, and IBM is included as part of VMwares freshly minted App Defense product. Businesses are embracinng hyper-converged infrastructure, and VMware is trying to help supply appliances that make it so businesses don’t have to build their own infrastructure to do so. “We’re trying to say it’s our job, whether that’s cloud or on-premises, for us to go manage that for you so that you could be spending your energy increasingly aiming to business-differentiating activities,” he says. 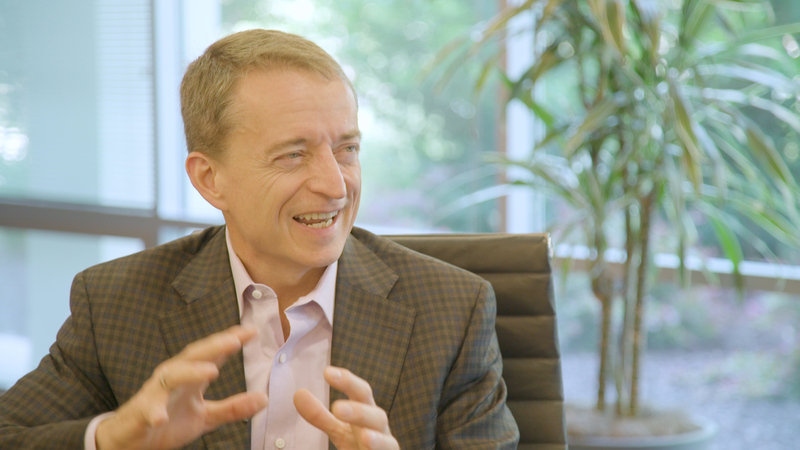 As he approaches his fifth anniversary as CEO, Gelsinger says his biggest accomplishment is getting VMware ready for its second act. That is, going beyond its initial success with its virtualization products, VSphere. He points to successes in software-defined data centers, Workspace ONE, the company’s identity application and mobility management platform, and its push into cloud as evidence that there is a promising second act unfolding. “I think that would be the sum of my five years here, is building that strategy, getting the execution under way so that we’re positioned not just to be a great company in the past or the present but for decades to come,” he says..